March 18, 2019 -- Breast ultrasound has become one of the go-to modalities as a supplemental breast cancer screening tool in women with dense tissue. But does it truly improve screening performance in this population? A new study published online March 18 in JAMA Internal Medicine is questioning the value of supplemental breast ultrasound. 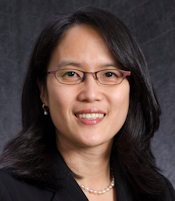 A research team led by Dr. Janie Lee of the Seattle Cancer Care Alliance found that in a community practice population of women with dense tissue at varying breast cancer risk, and across a variety of performance measures, screening breast ultrasound's benefits were modest while its harms were high. The rate of false-positive biopsy, for example, more than doubled when women underwent both screening mammography and ultrasound. Dr. Janie Lee of the Seattle Cancer Care Alliance. "In our sample of breast imaging examinations with comprehensive capture of cancer outcomes for performance assessment, we found no significant screening benefit as measured by greater sensitivity, increased cancer detection rate, or decreased false-negative rate," the group wrote. The findings challenge what grassroots density notification proponents advocate -- the active use of supplemental imaging in addition to mammography in women with dense breast tissue. But in fact, there aren't many professional organizations that recommend the use of breast ultrasound as an adjunct to mammography, Lee and colleagues noted. The American College of Radiology (ACR) is the only organization that includes reference to supplemental screening ultrasound in its breast cancer guidelines, and the recommendation is modest: The ACR supports "consideration of ultrasonography for women with elevated risk who would qualify for but cannot undergo breast MRI and for women with increased breast density 'after weighing benefits and risks,' " Lee's team wrote. In 2009, Connecticut became the first state to pass legislation mandating that women undergoing mammography be notified of their breast tissue density and advised of supplemental screening options, including breast ultrasound. Many other states have followed suit in an effort to counter the shortcomings of mammography when it comes to screening women with dense breast tissue. Whether supplemental ultrasound screening is effective, however, isn't actually clear, according to the investigators. "A recent systematic review of supplemental screening ultrasonography, MRI, and digital breast tomosynthesis for women with dense breasts noted that good-quality evidence was sparse, and effects of supplemental screening on breast cancer outcomes remain unclear," Lee and colleagues wrote. "Accurate information on the effectiveness of screening ultrasonography is needed to provide guidance on whether [its] widespread use with screening mammography would be a beneficial strategy." For the study, the researchers compared screening mammography plus screening ultrasound to screening mammography alone -- assessing recall rate, biopsy recommendation rate, short-interval imaging follow-up rate, sensitivity, specificity, positive predictive value of biopsy (PPV2), cancer detection rate, and false-negative rate. The group used data from two Breast Cancer Surveillance Consortium (BCSC) registries between January 2000 and December 2013; data included 6,081 screening mammography plus same-day screening ultrasound exams matched 1:5 to 30,062 screening mammograms without breast ultrasound. Overall, Lee's team found that women who underwent screening mammography and screening ultrasound were more likely to be younger than 50; be white non-Hispanic; and have a first-degree family history of breast cancer, dense breasts, and high BCSC five-year risk scores. Yet the group determined that screening breast ultrasound's benefits were negligible. "Our study found that for every 1,000 women screening with mammography plus ultrasonography, approximately five women would be diagnosed as having breast cancer, while 57 women would receive a recommendation for biopsy, and 52 of these women would have benign, false-positive results at pathology," Lee and colleagues wrote. "Our results of increased biopsy recommendation rates, false-positive biopsy recommendation rates, decreased specificity, and PPV of supplemental screening ultrasonography are consistent with findings from multiple studies conducted in the United States, Europe, and Asia," the researchers noted. What's needed is a way to better assess which women need supplemental screening, according to the researchers. "To apply supplemental ultrasonography screening with greater effectiveness, we suggest that additional efforts are needed to more accurately identify women who will benefit from supplemental screening," they concluded. "We also suggest that development is required of the capacity to deliver high-quality supplemental screening, as well as new interventions to reduce the frequency of screening-related harms."